The United Nations Sustainable Development Goals (#SDGs) until recently have not been something most of us have been aware of in relation to citizen science – but there’s increasing focus on these goals as they set the aspirations of sustainability; environmentally, economically and socially. 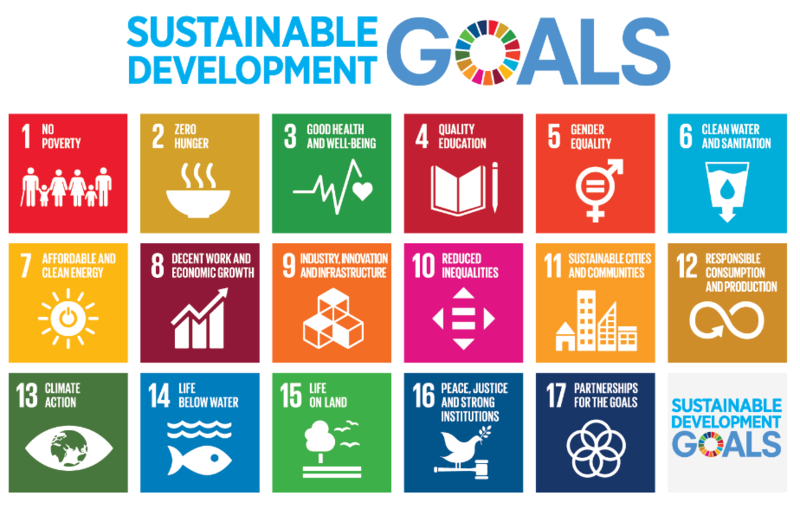 The 17 global goals are designed to set a sustainable development agenda to transform our world by 2030. Local, state, and federal government personnel are now incorporating the SDGs into domestic policy, planning and reporting, so there is a real need for co-ordination, but also to define a role for citizen science to be embedded and integrated into this process. Several groups are exploring how members of the general public and non-traditional data can contribute to achieving these incredibly ambitious aims, with a number of targets prescribed under each goal with associated indicators to measure success over time. The non-traditional data includes not only citizen science data but also crowdsourced data like open street map and from partnerships such as citsci global and WeObserve. These groups are looking at the value of this non-traditional data for SDG reporting, and investigating methods and metrics for indicators where non-traditional data could best fit. 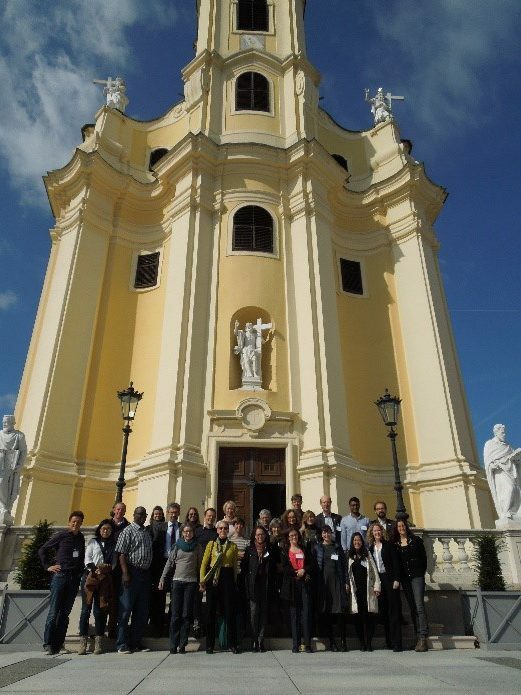 The International Institute for Applied Systems Analysis (IIASA) held a workshop in Laxenburg, Austria, just outside Vienna, over 3 days (3-5 October 2018) to brainstorm and flesh out ideas on how to demonstrate how citizen science and other non-traditional ways of collecting data could advance the SDGs. It seemed as though the IIASA meeting was a reunion of old friends and colleagues, but for me, this was a completely new experience. Attending provided me the opportunity to get clarity and knowledge not only from the United Nations Environment Programme (UNEP), and reporting agencies such as the World Meteorological Organisation (WMO), but also from highly experienced and passionate advocates of citizen science. Some attendees gave 5-minutes speed talks to give an overview of their work, and Australia was well represented. Jessie Oliver gave a national perspective on alignment of SDGs and #CitSci, Libby Hepburn presented as Chair of the ECSA Policy SDG Task and Finish group on how the group can advance SDGs with citizen science globally, and I gave an overview on CSIRO’s current work on citizen science and SDG’s as well as the proposed mechanism for using citizen science data in reporting on SDGs. Many governments have tasked their statistical organisations to analyse how their country will meet the goals and targets, but to also develop a reporting structure for respective SDG targets and associated indicators. Many of the statistical groups are unaware of non-traditional data sources, and certainly citizen science organisations are having to think how their data can be integrated into the SDG reporting. For example, the European consortium, WeObserve, of which IIASA is one of the 7 partners, seeks to address this issue by tackling three key challenges that Citizens Observatories (COs) face: awareness, acceptability, and sustainability. WeObserve organisers have launched their first three communities of practice related to citizen observatories and the forth community of practice will relate to SDGs and Citizen Observatories, which is set to be launched in November 2018. These community of practices will be very useful for ACSA to support implementation, demonstrate the added value, and promote uptake of non-traditional data particularly in relation to SDGs. The IIASA workshop really consolidated ideas coming from people involved non-traditional data collection, such as through citizen science projects or advocacy, and/or with invaluable experience with SDGs. The exchanged experiences and new ideas will now be used to develop a roadmap to inform our regions and better advocate for non-traditional data, such as from citizen science, to be incorporated into the SDG evaluation process!